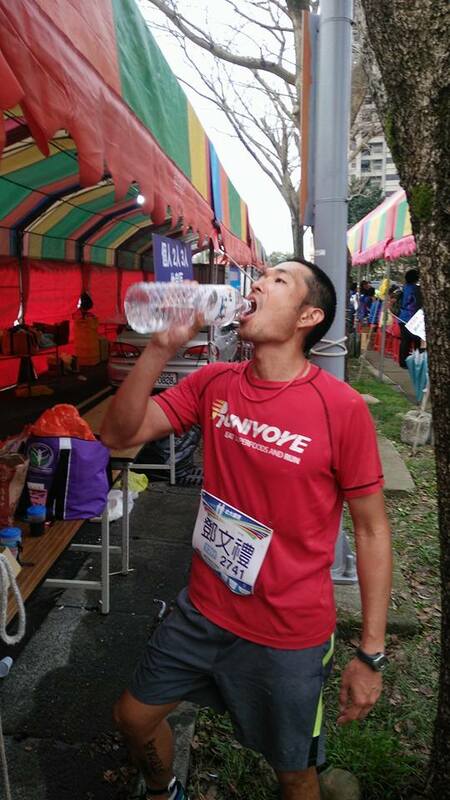 In 2012, I participated in a 7-hour ultramarathon in Taipei’s YangMing Moutain. It was a 1.5km+ road slope to make up a loop of 3km+. We ran down, turn around ran up, turn around ran down turn around ran up….you get the point. Despite the mountain backdrop providing a great view (it got old after staring at the same things for hours), it was not a good race experience, and I vowed to never enter a timed race again. Five years later, I signed up for a 12-hour race. 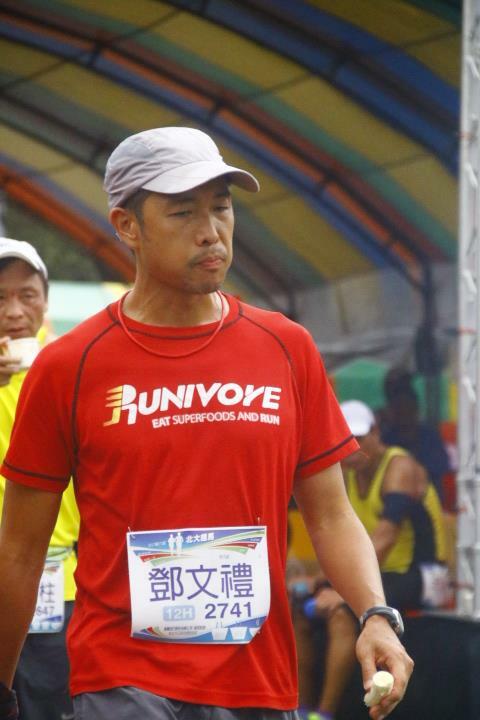 It wasn’t runner’s amnesia, because I still clearly remember how boring it was. However, with Leadville 100 coming up in August, I need to up my mental game, and what better way than to run a race that you know you won’t enjoy as well as offering runners easy ways to drop out and slack off. 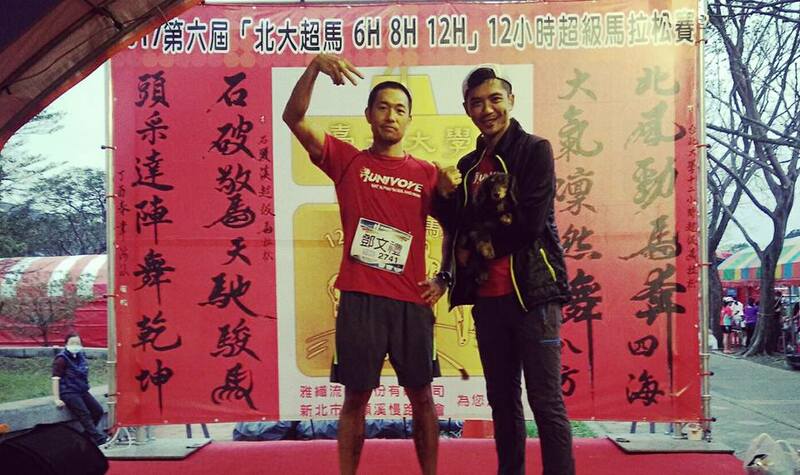 This ultramarathon took place on a course that was just under 3km around the campus of the National Taipei University in SanXia. The race kicked off at 6am in the morning on March 19, 2017, and we were greeted by rain that didn’t let up until after the first hour of the race. The sun came out and temperatures soared for an hour, then the clouds took over soon after and it was suitable running weather for the rest of the day. I wouldn’t say it was the toughest ultra I’ve done since I was at a safe environment the whole time with volunteers, modern conveniences and aid stations around me. But it was the most uncomfortable race for me, both mentally and physically. 2. German philosopher Martin Heidegger said that “boredom is the awareness of time passing.” I was definitely very aware of every minute. Time was moving slow like I was on the dreadmill. Running that much on a flat course was difficult as expected, and it was hard to not be bored running a loop. Even the straightaway with a line of beautiful sakura trees got annoying after you’ve seen them a few too many times. 3. Hence, if I have to sum up the race in a sentence, it’s: Struggling to be comfortable. Pacing has always been my weakness, especially since I only own a standard digital watch. I started off a bit too fast under 6km/hr, and then actively tried to slow down, but that didn’t feel right either. It wasn’t until the third hour when I found a comfortable 6km/hr rythym and was able to cruise until the 6-hour mark. 4, Then it was highs and lows for the second half of the race, which gave me plenty of opportunities to learn to adjust and play with nutrition. 5. I thought since it’s flat, it’s on the road and it’s the same route over and over again, I would space out and perhaps even get into a flow state. Didn’t happen. I just had negative conversations with myself. 6. It was a festival-type atmosphere so crewmembers were barbequing and drinking beers. 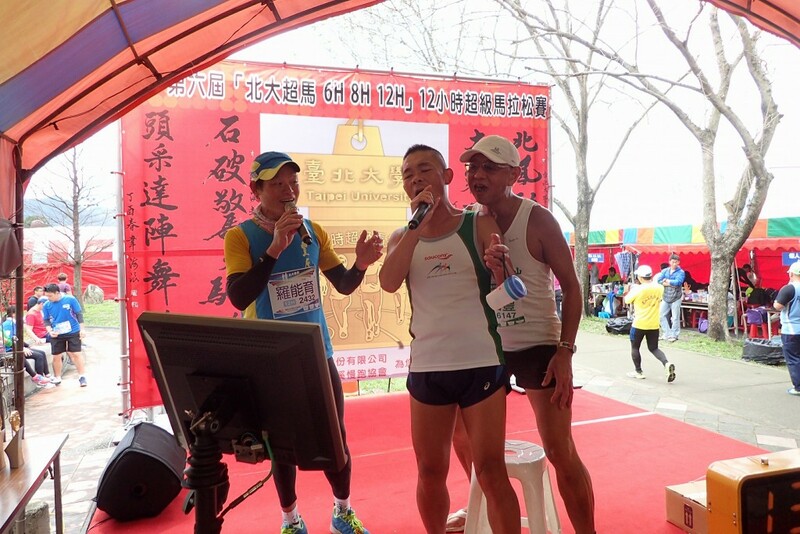 The race organizers also set up a karaoke machine, so some runners would run back to the starting area, go on stage to sing a song and continue on the next loop. Thought that was pretty funny, but also provided plenty of distractions and temptations. I really wanted to just hang around the main area, sip on a brewski and take it easy. 7. Music is not for me. I never listen to music when I run, but I put on music when I hit 60km+ to see if a nice hip-hop beat could give me a boost. I did two laps and found it distracting. Off went my headphones! 8. I had a stretch goal of 120km, but after maintaining a 6km/hr pace for the first 6 hours I knew it was a stretch indeed. I took an 8-minute break (my longest of the day), reevaluated my form at the time and decided to shoot for 110km. 9. At 70km I switched shoes and put on clean socks. The course was paved with concrete, so extra tough on the feet. I put on a pair of shoes with more cushioning. It helped a little and was a nice change of pace. 11. For the final 25km I just kept on moving. I never entered the resting area again. I found a nice routine of completing a loop, go to the big buckets of water and wash up, get some water, salt and fruit, set out for the next loop by fast walking the first 300-400 meters and start running. 12. My buddy showed up for last 3 hours and did a few loops with me. It really helped me to maintain pace. 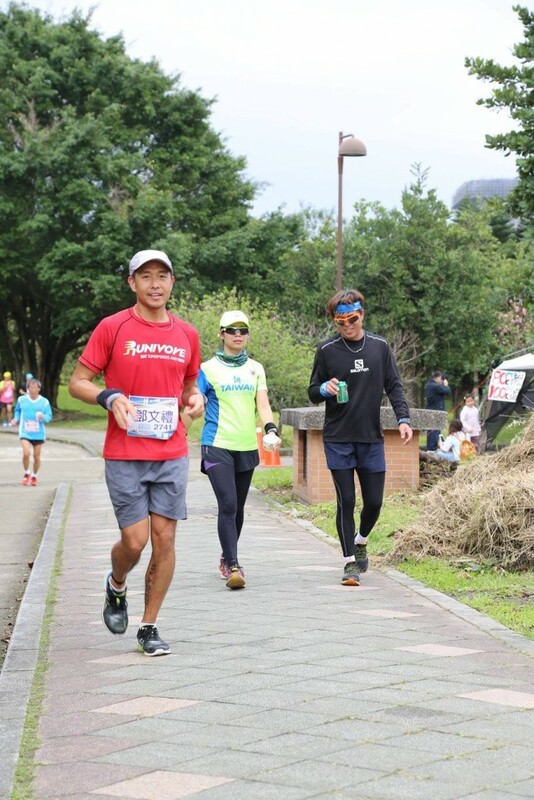 By then I realized 110km was out of reach as well, so I decided to aim for my previous longest distance of 102km ran at Tarawera Ultramarathon in New Zealand earlier this year. 13. I completed a loop that gave me 101km with 20 something minutes left on the clock. I had a strong urge to just call it quits. But I chatted with a runner on the previous lap. I asked him if he planned to run another loop even though we may not be able to complete the loop before times up, which means it wouldn’t count. He said who cares about the clock. 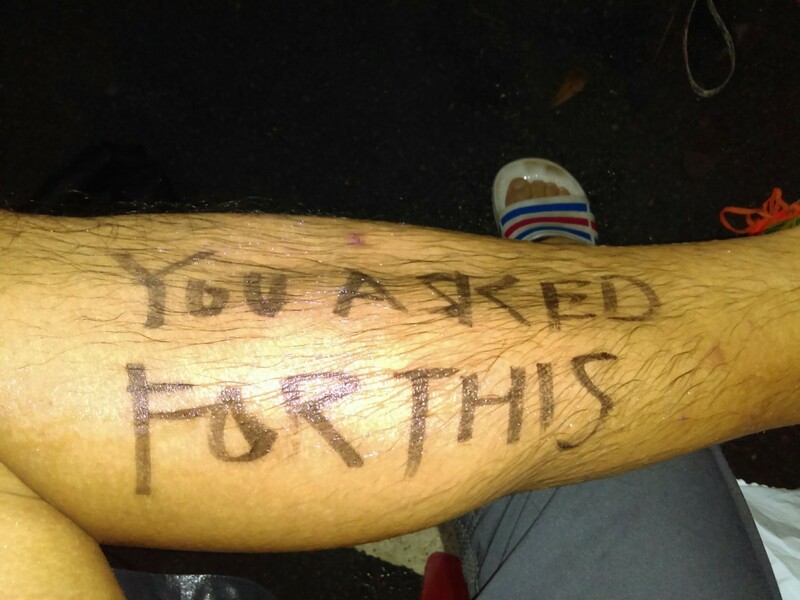 He came here to run 12 hours and 12 hours he shall run. So we both set out for the final lap and we both finished, giving me an official distance of 103.98 km. I ran a little more to get to 104km. 14. I didn’t get my usual boost of confidence or sense of accomplishment after completing this race. It was just sort of blah. I’m done….pretty tired but not too tired….Almost the same kind of relief as a student hearing the last bell of the day. Not having an actual physical finish line makes a difference for me, I guess. Overall, I gained valuable lessons and definitely put my mind to the test. D.U.N!